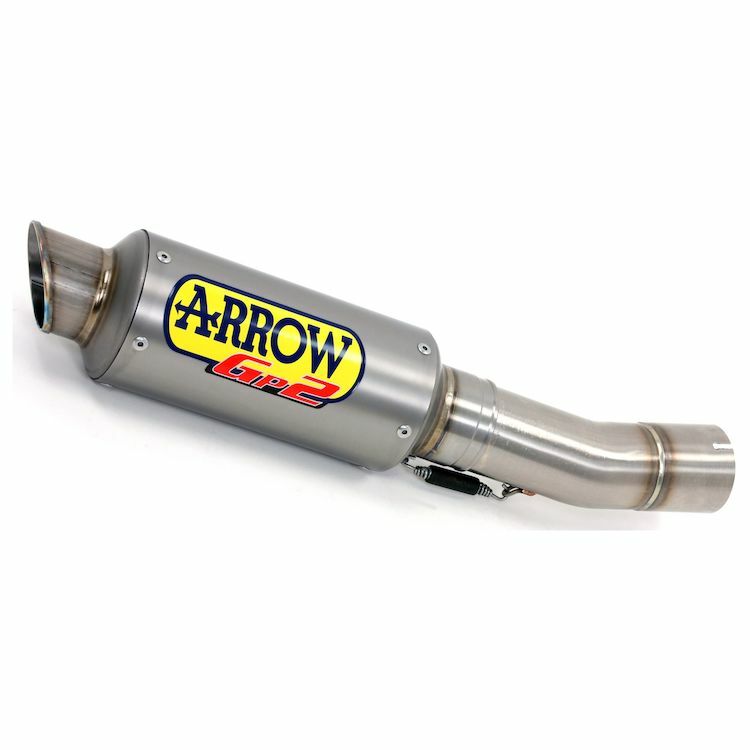 Arrow used their experience with racing in the Moto2 class to design the lightweight and compact Arrow GP2 Slip-On Exhaust. Its cylindrical muffler, slash cut exit pipe and aggressive sound give any bike a competitive look and growl. Note: Muffler images are for reference only, actual muffler will vary slightly depending on your bike's make and model.